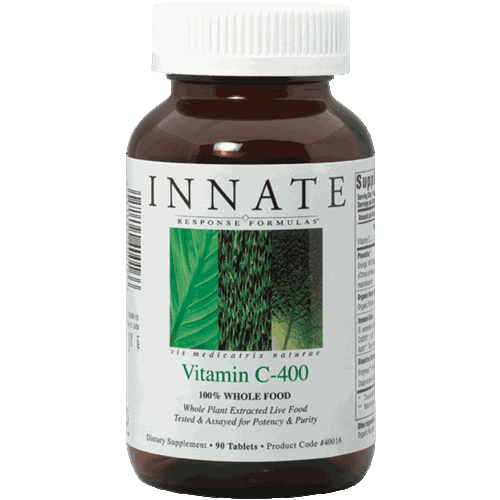 Vitamin C-400 contains a high potency of 100% whole food vitamin C from True Active™ FoodState® . 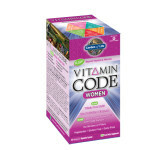 Whole food vitamin C does not exist as ascorbic acid alone, but rather co-exists within a synergistic network that inherently contains an array of immune supportive compounds, enzymes and other co-factors, and delivers a myriad of beneficial bioflavonoid food compounds known to have nutritive activity in the body. Naturally buffered, whole food vitamin C is therefore gentle on the stomach with less than one-tenth the acidity of common ascorbic acid. 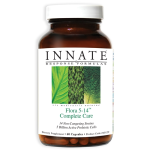 This superior source of 100% whole food vitamin C also provides an organic whole food blend, an immune blend, and plant-based enzymes to enhance bioavailability. Vitamin C-400 is the premier biologically active formula to promote overall wellness.